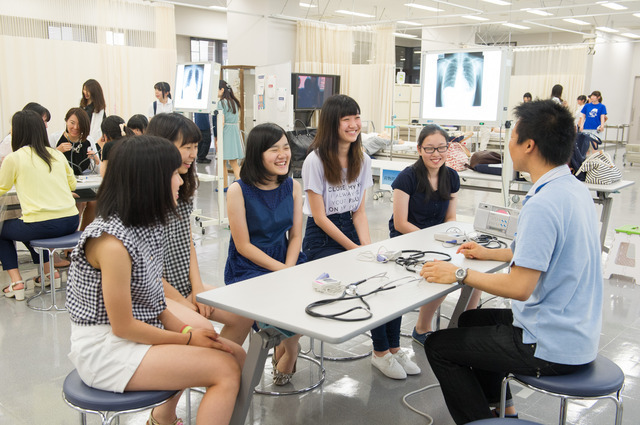 The Faculty of Policy Management, the Faculty of Environment and Information Studies, and the Faculty of Nursing and Medical Care held an Open Campus for prospective students and their parents on July 30 at the Shonan Fujisawa Campus (SFC). 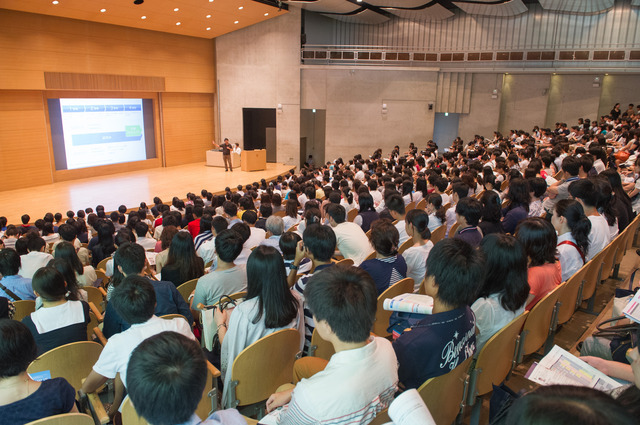 Lectures by deans and campus tours were among the activities offered during Open Campus 2014. 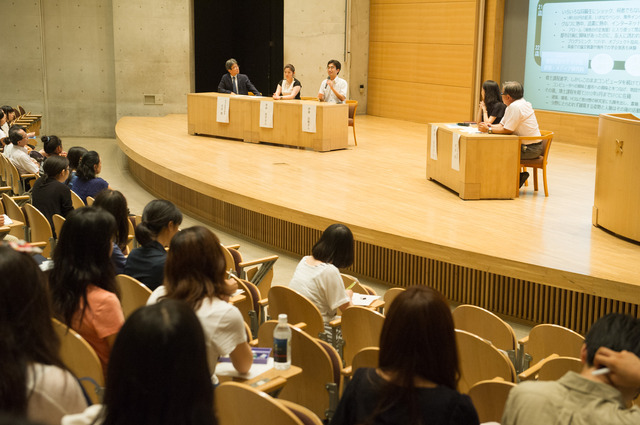 In addition, the Faculty of Policy Management, and the Faculty of Environment and Information Studies invited graduates who have gone on to a variety of fields to give talks on topics such as how the knowledge and skills they learned while at SFC are useful to them in their careers. At a panel discussion, "Learning at SFC, and How to Learn at SFC," faculty members discussed the outstanding aspects of SFC's curriculum. At the same time, SFC students themselves plan and ran events and activities to showcase SFC's appeal from their own point of view. These included student performances and a "communication corner" with current SFC students. In addition, some of the presentations made at last year's SFC Open Research Forum, which is held each year in November as a venue for presenting research results, were on display. At the Faculty of Nursing and Medical Care, in addition to an information session on the faculty, mock lectures, and campus tours, students made presentations on topics such as activity reports, and a training program in Laos. In a hands-on area, visitors experienced emergency AED, and auscultation using a stethoscope. An exhibit section included displays of research by faculty members and campus life, and materials showing contents of actual courses. 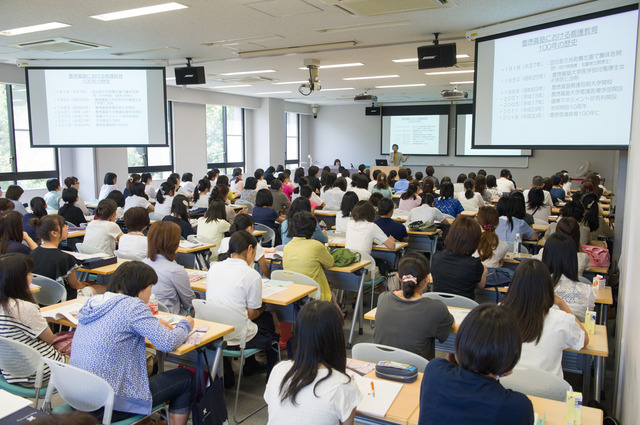 At this SFC Open Campus 2014, visitors were able to experience and get to know in-depth what SFC has to offer. 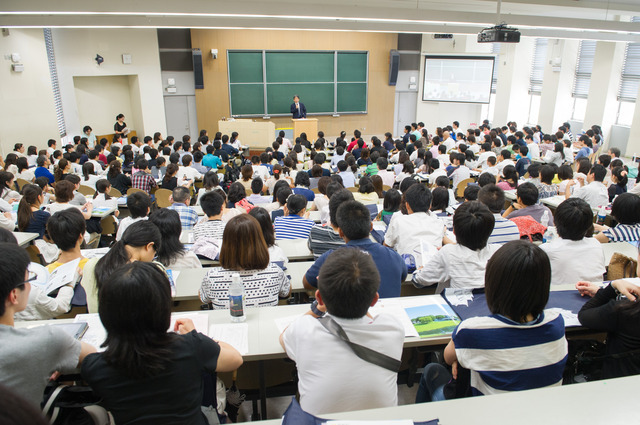 Visitors to the Faculty of Policy Management, and the Faculty of Environment and Information Studies numbered around 2,100; visitors to the Faculty of Nursing and Medical Care topped 900. 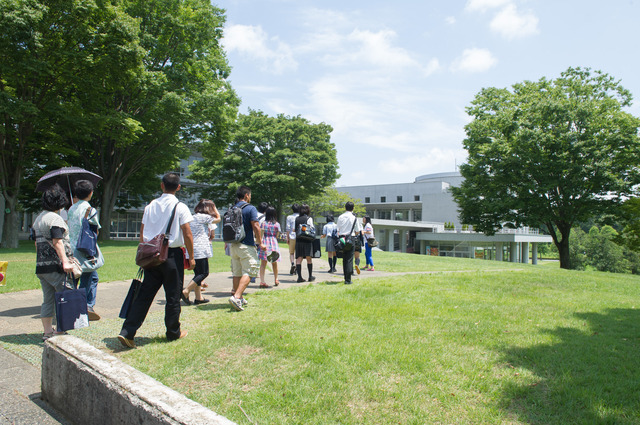 The SFC Open Campus is usually held once each year in late July and requires pre-registration. Information regarding the next SFC Open Campus will be posted on various SFC websites.